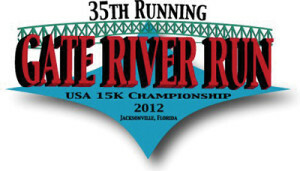 Come see us at our booth for the 2012 Gate River Run, Runners Expo at the Jacksonville Fairgrounds! We’re next to the Donna Deegan Marathon and Black Creek Outfitters. Hours of Expo: Thursday, March 10th 11:00 AM until 6:00 PM Friday, March 11th 11:00 AM until 8:00 PM Saturday, March 12th 8:30 AM until 12:00 PM “Like” us on our Facebook page and be entered to win a pair of custom orthotics valued at $450! “Like” our Facebook page at the expo and get $3’s off BioFreeze, usually $15! Also enter at our booth for a chance to win a iPod Nano! The First Coast Foot and Ankle Clinic looks forward to seeing you there! Come join the fun!